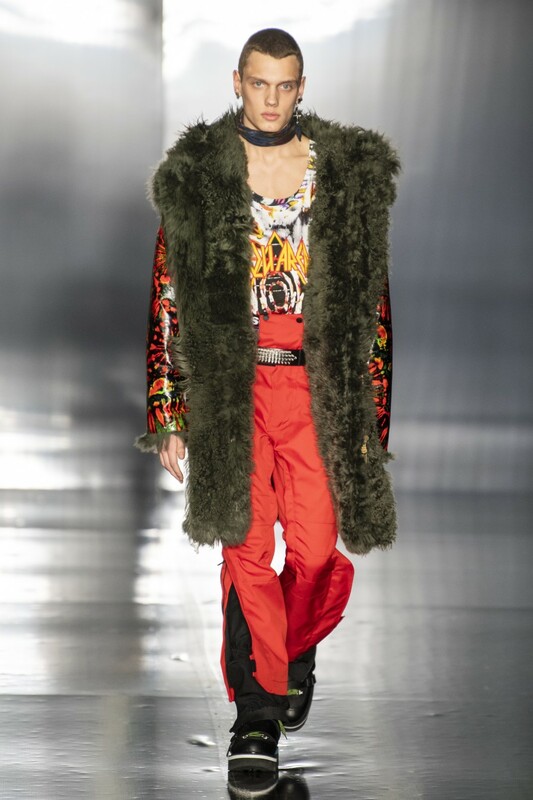 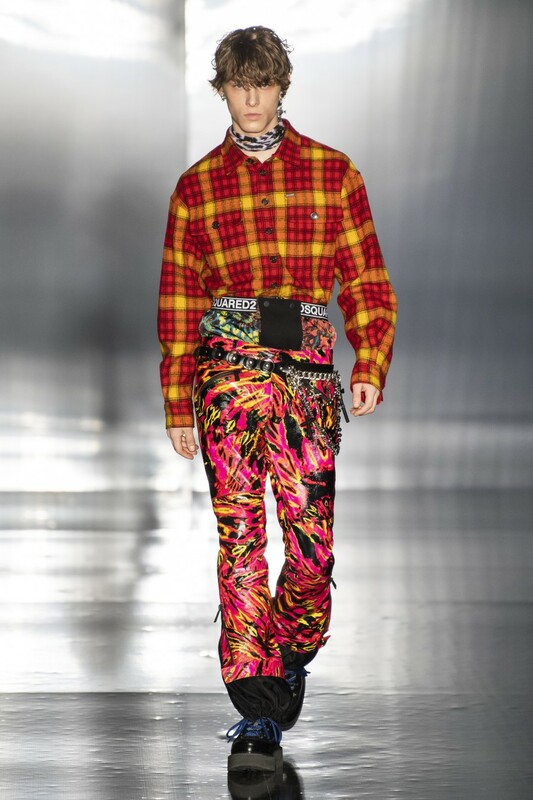 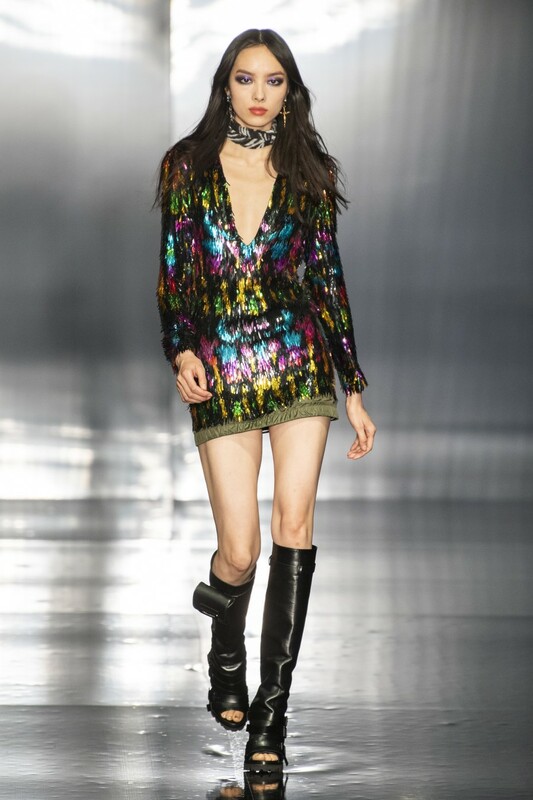 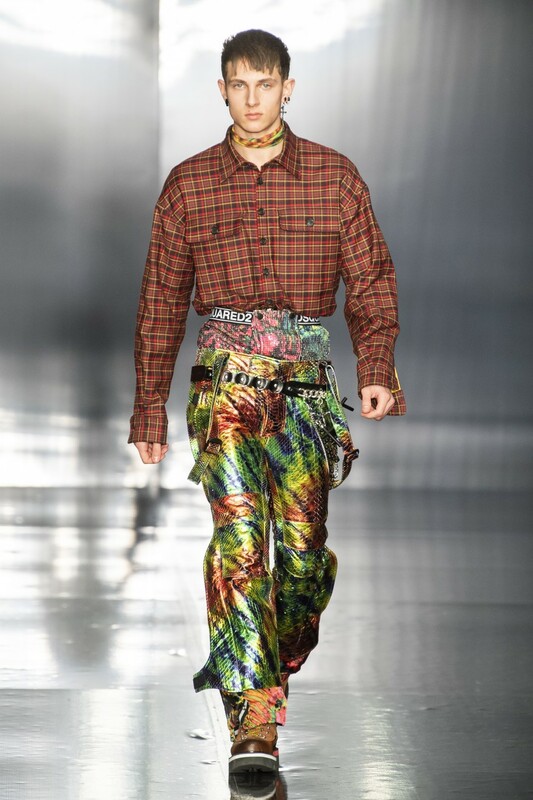 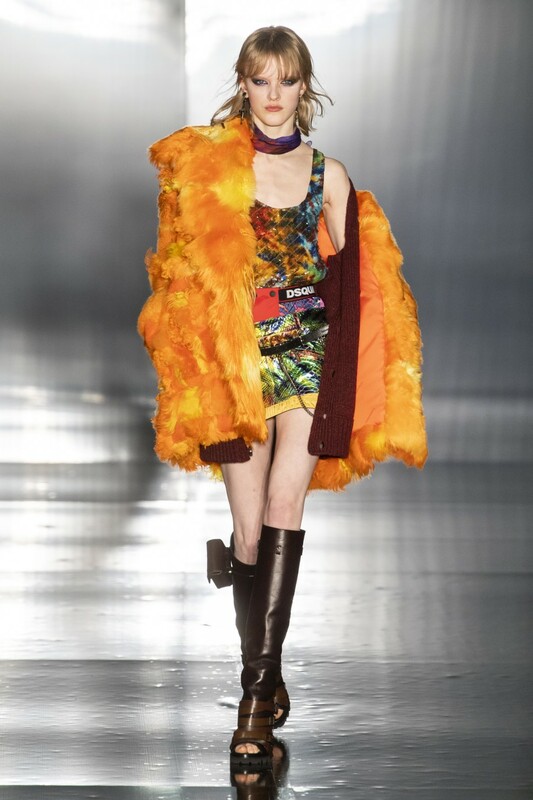 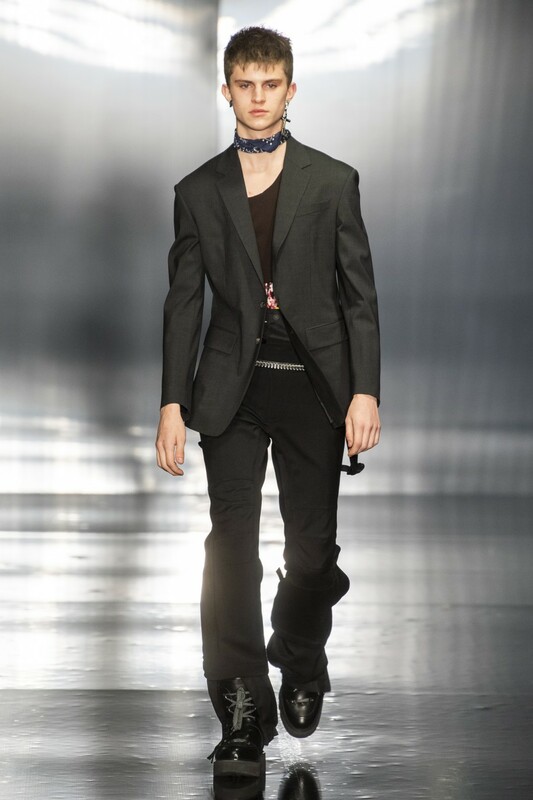 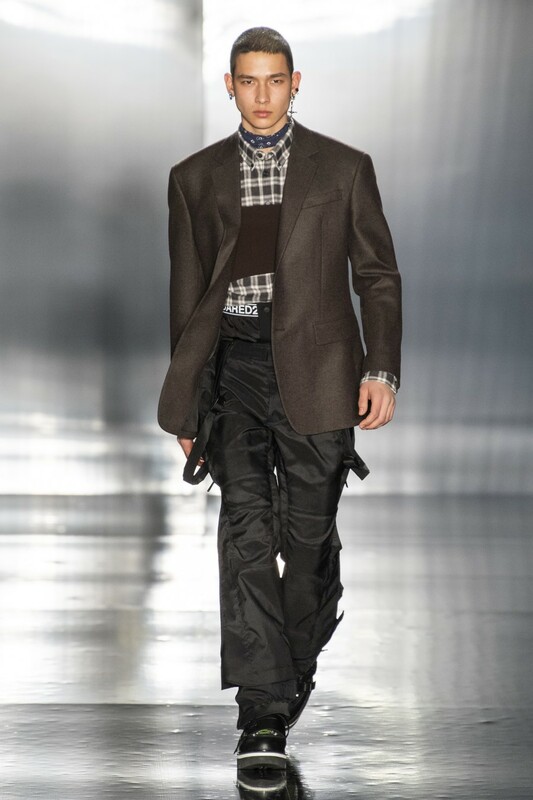 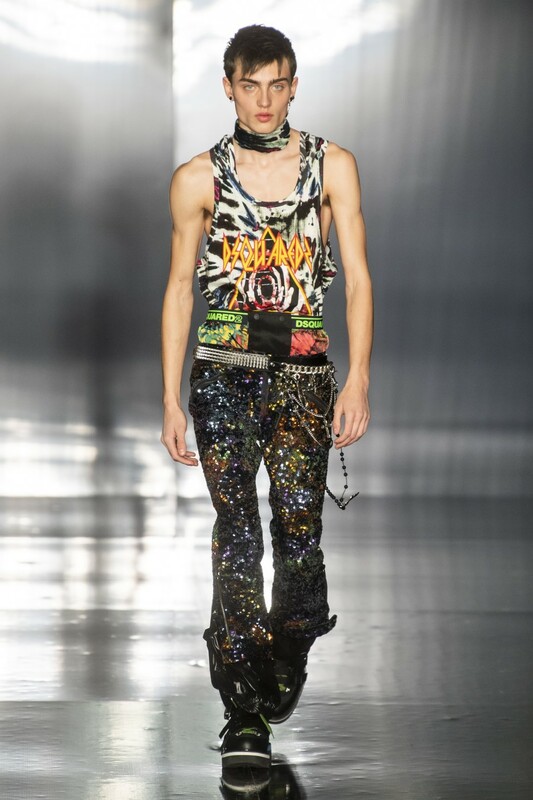 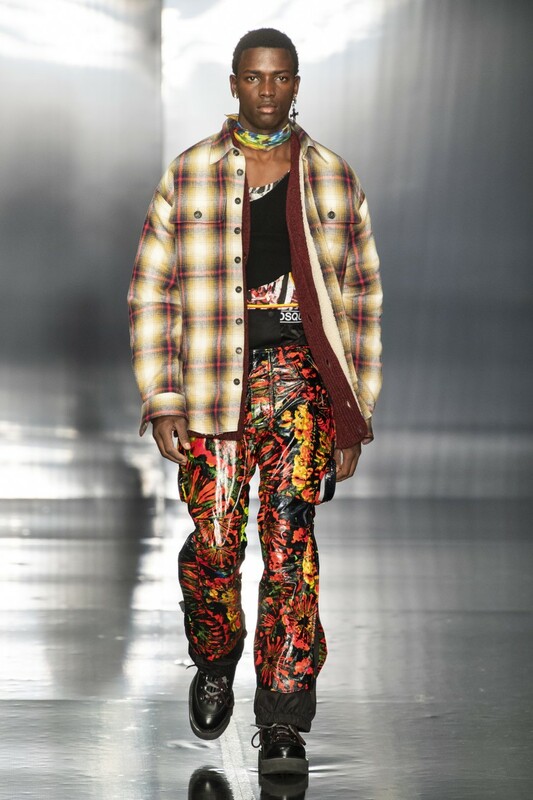 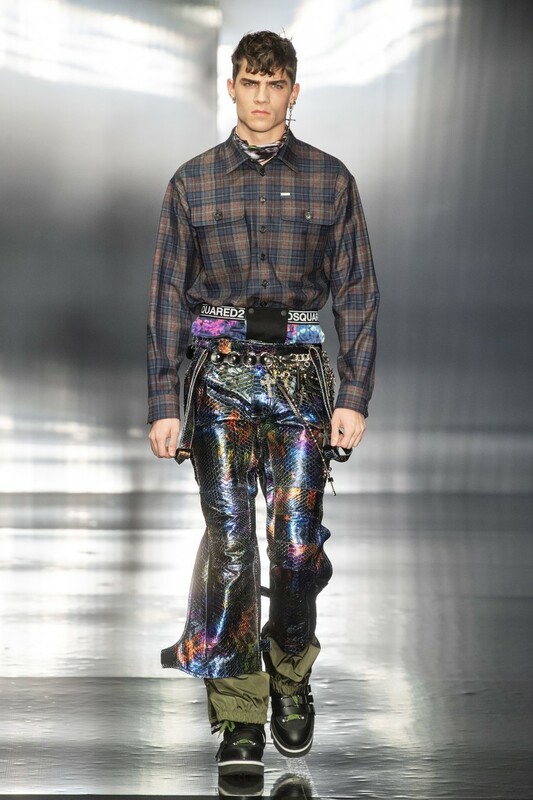 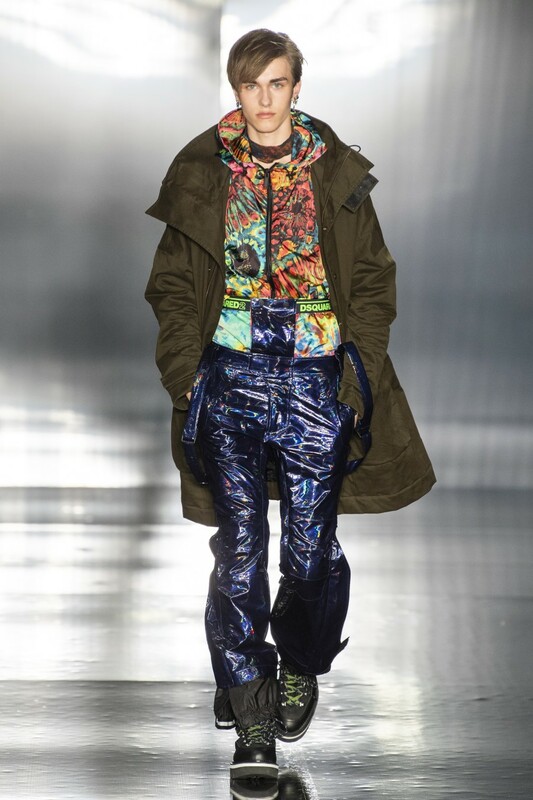 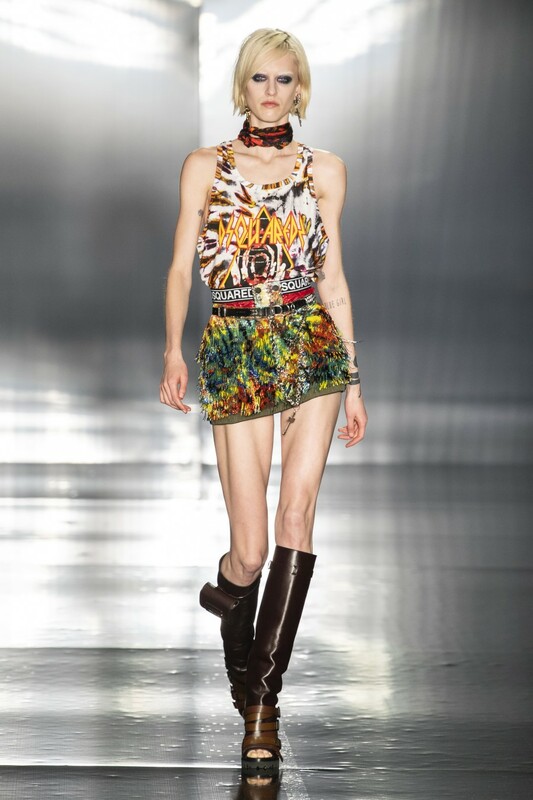 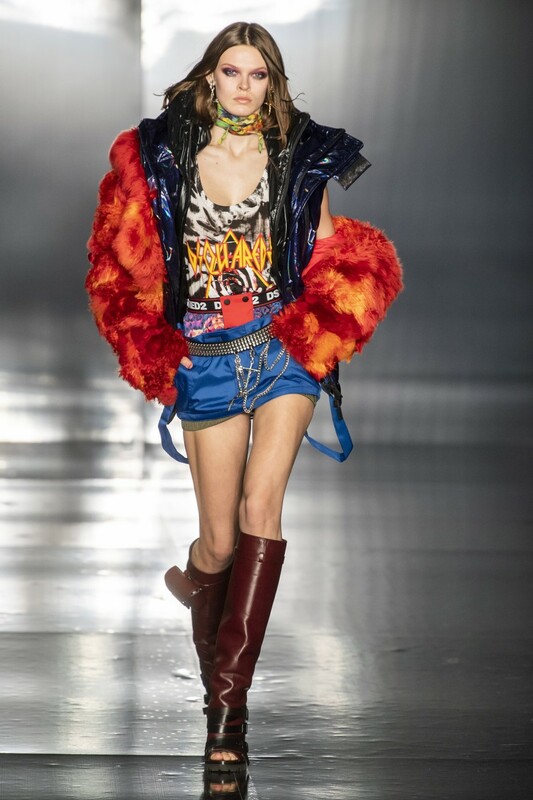 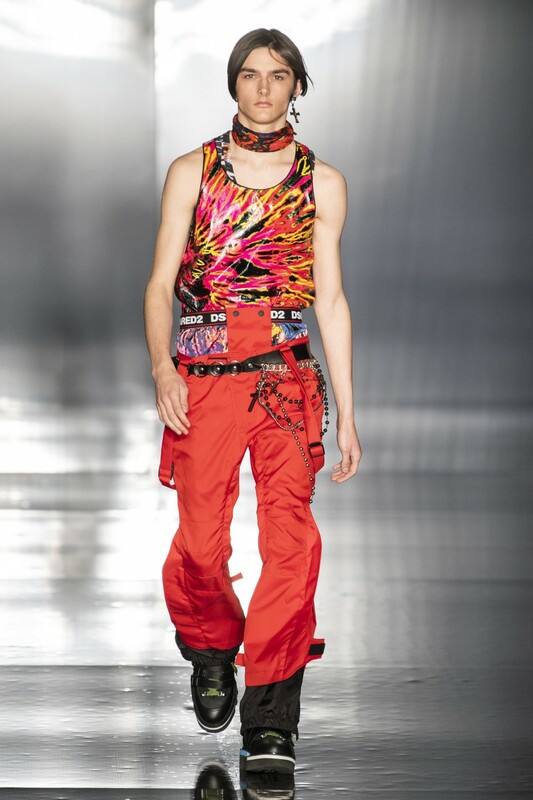 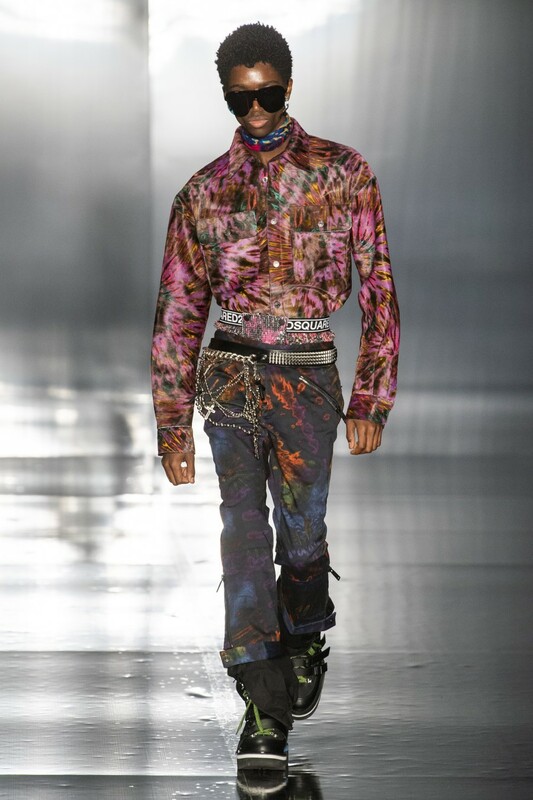 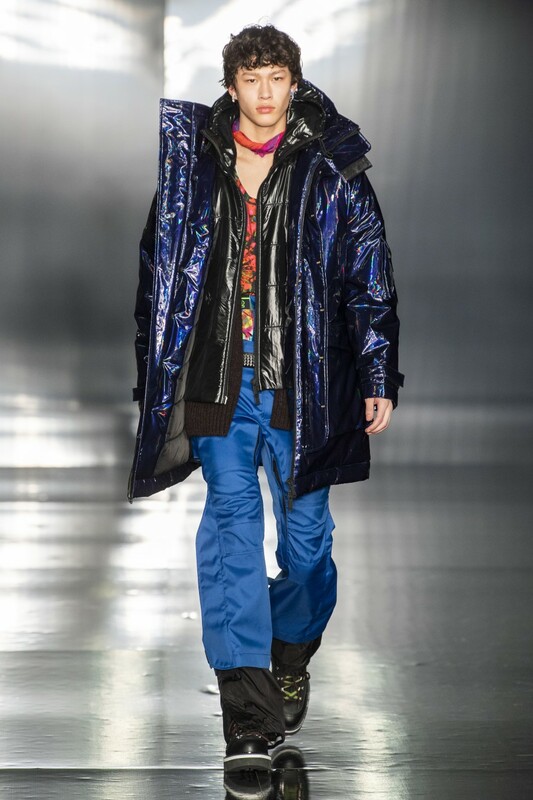 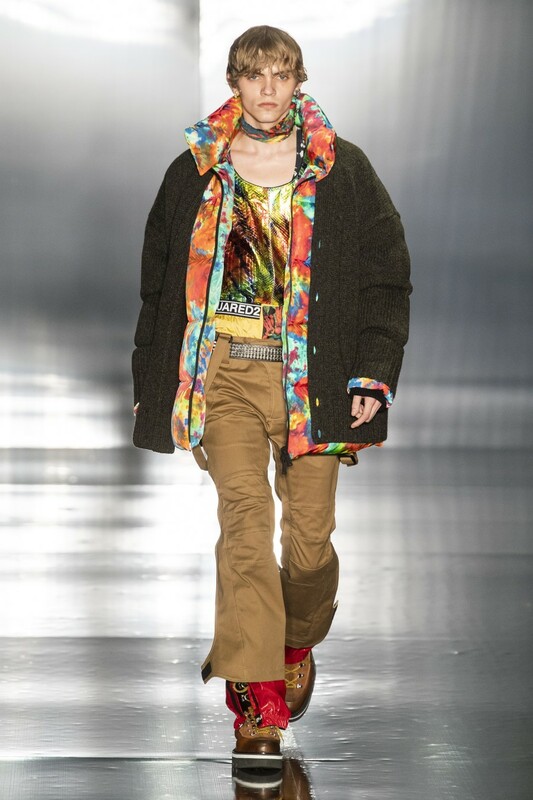 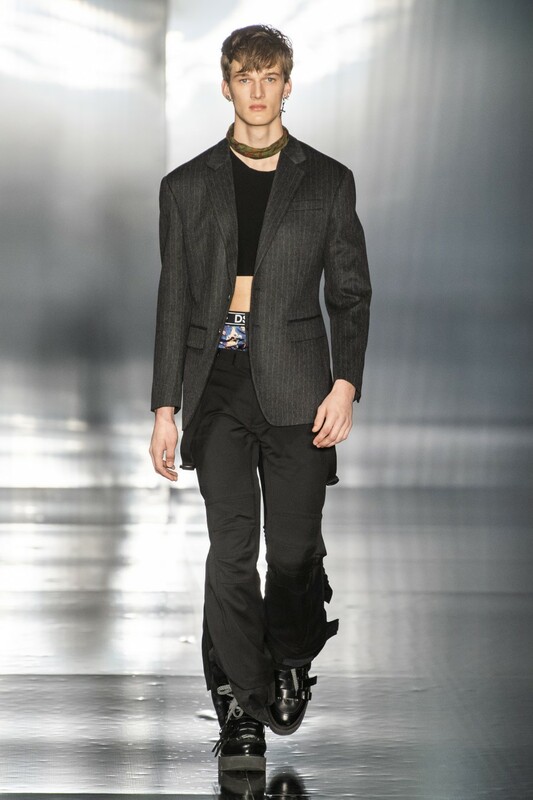 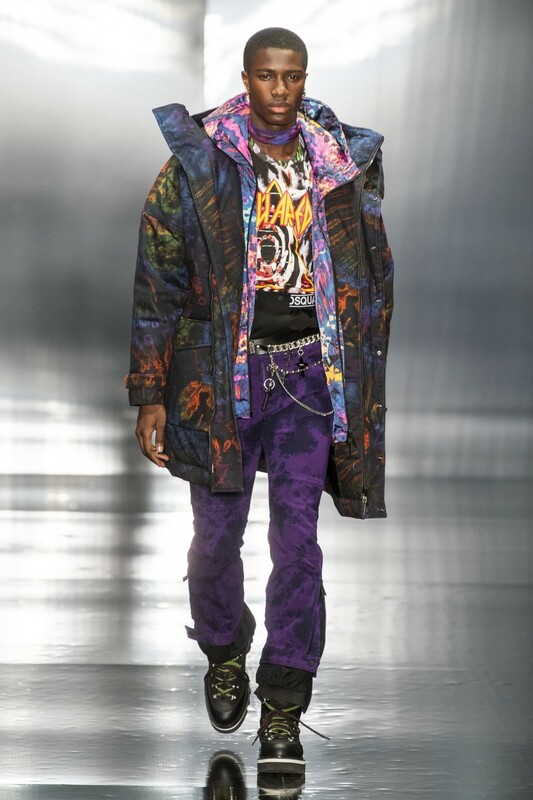 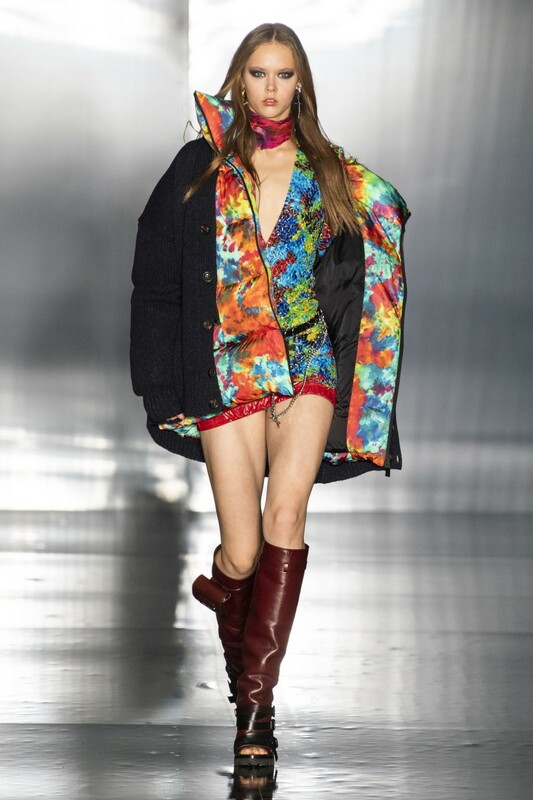 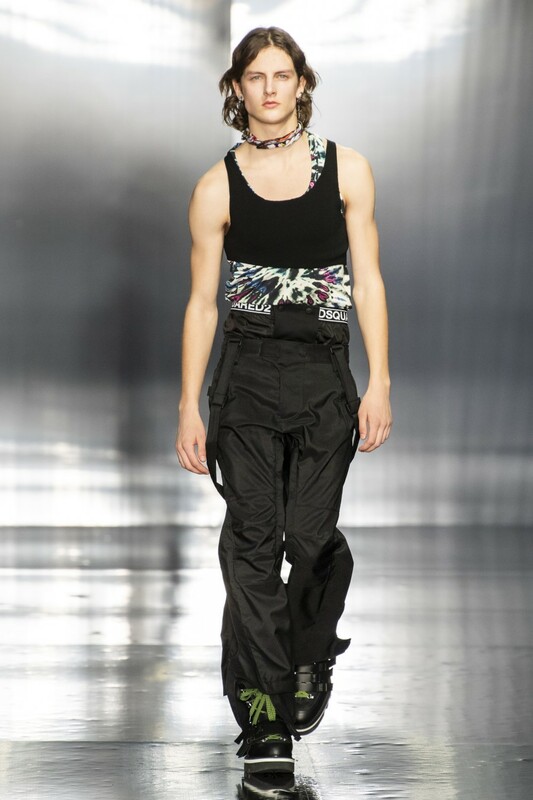 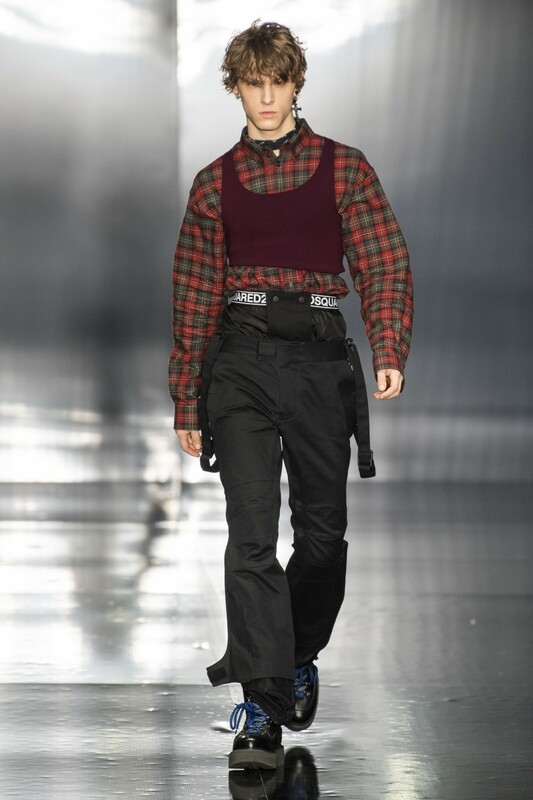 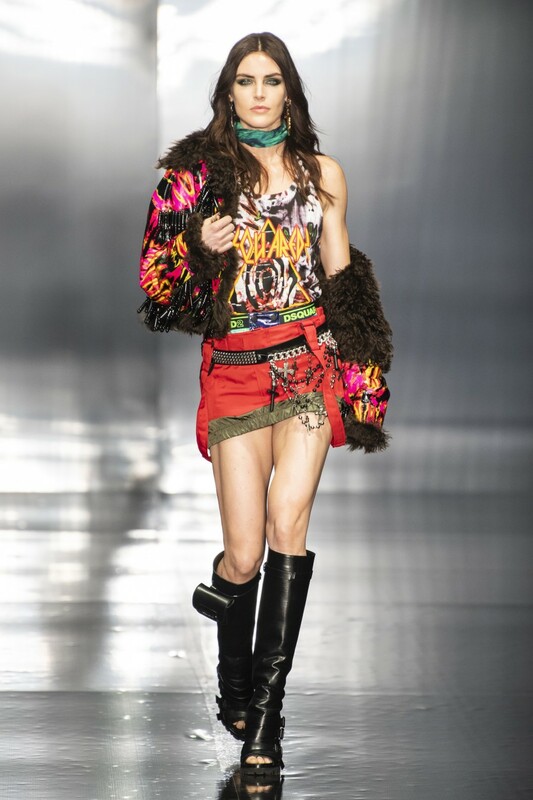 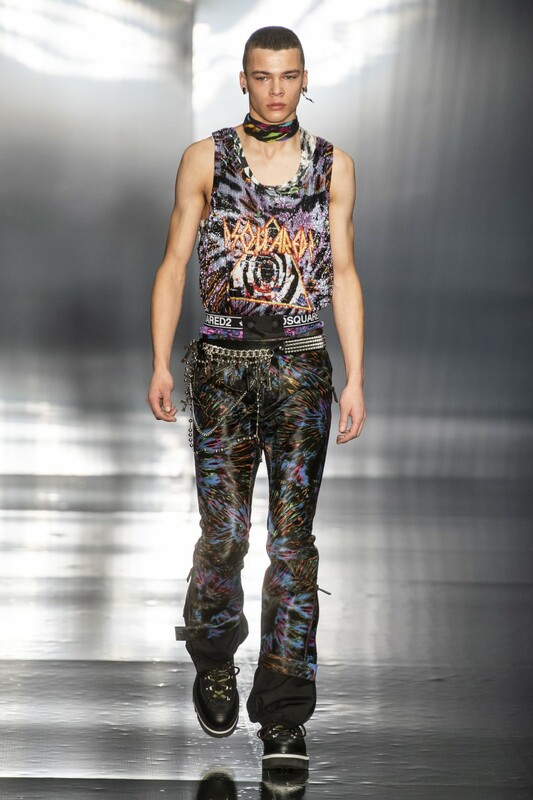 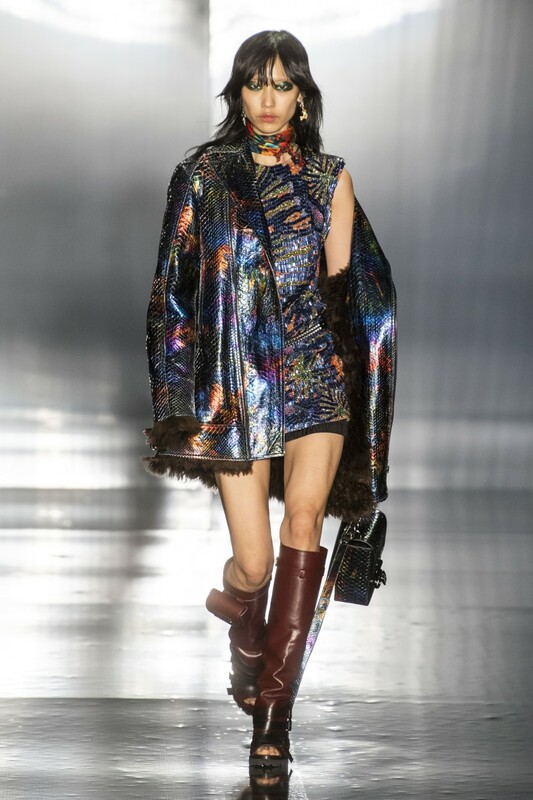 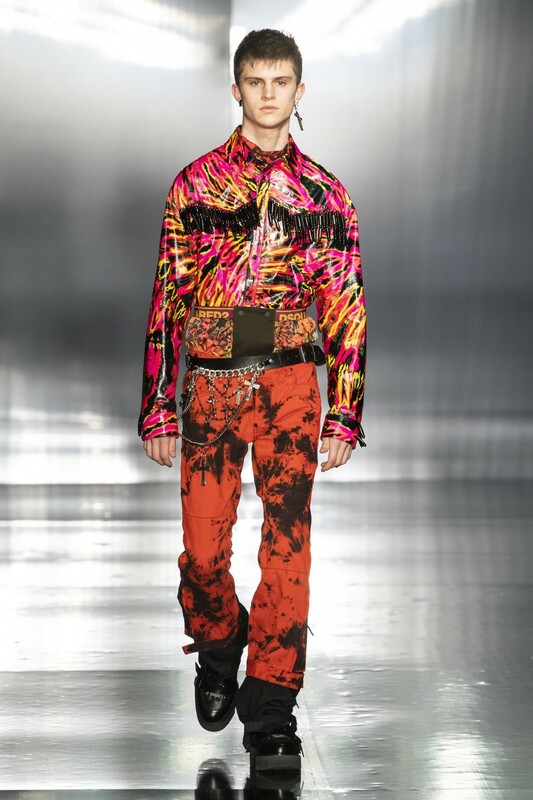 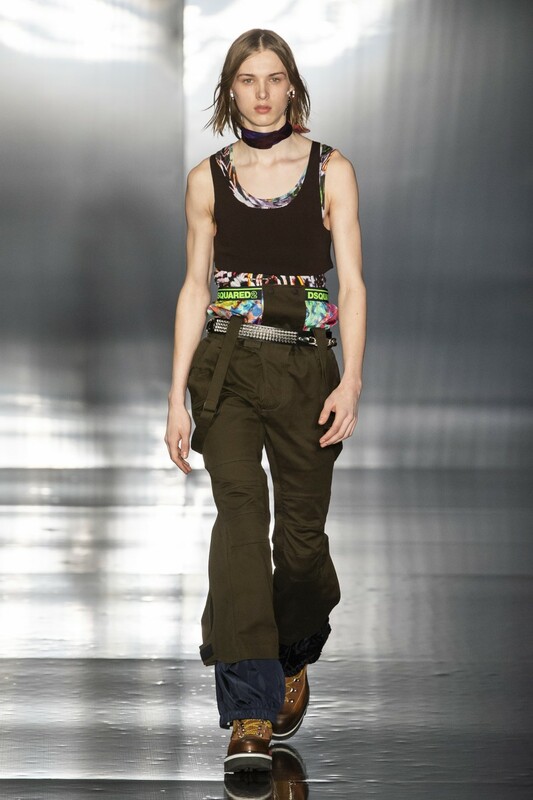 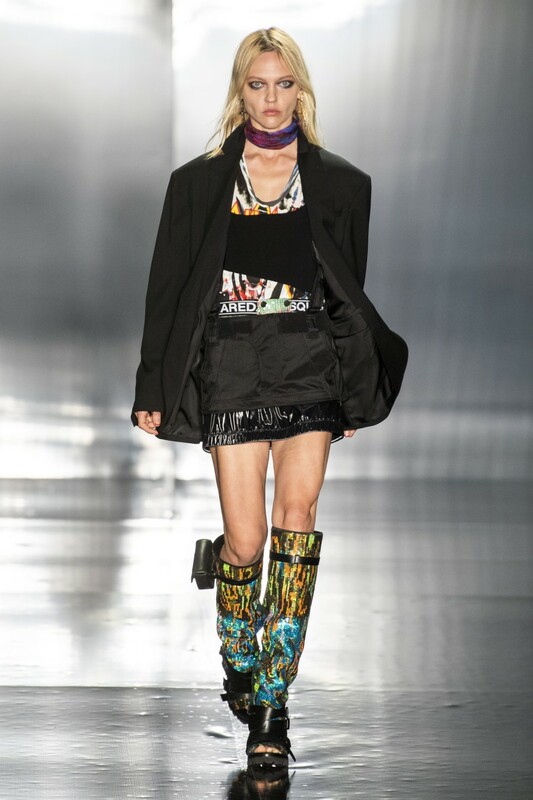 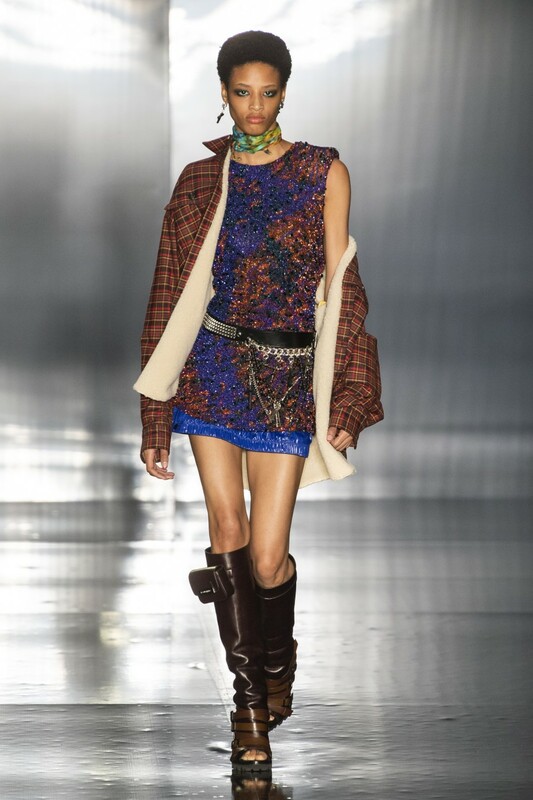 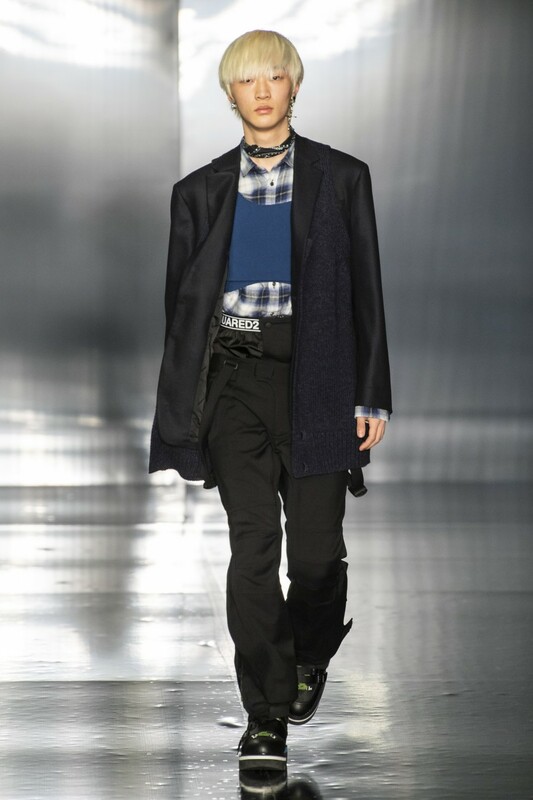 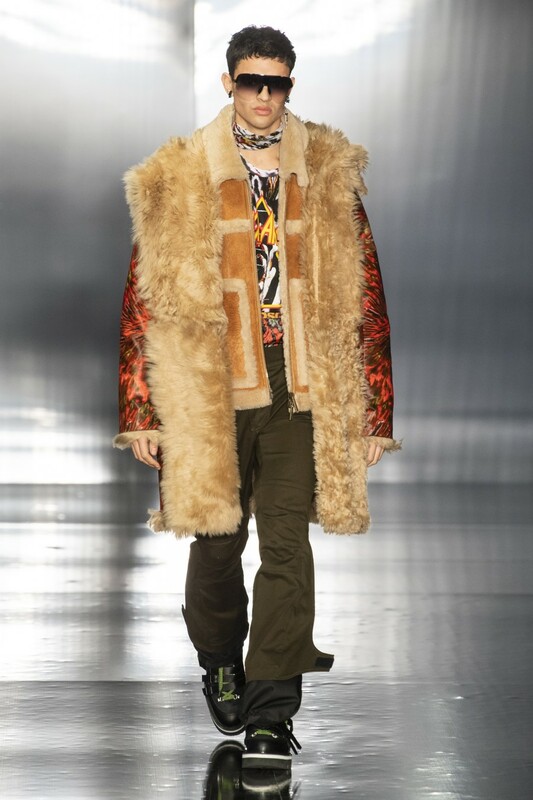 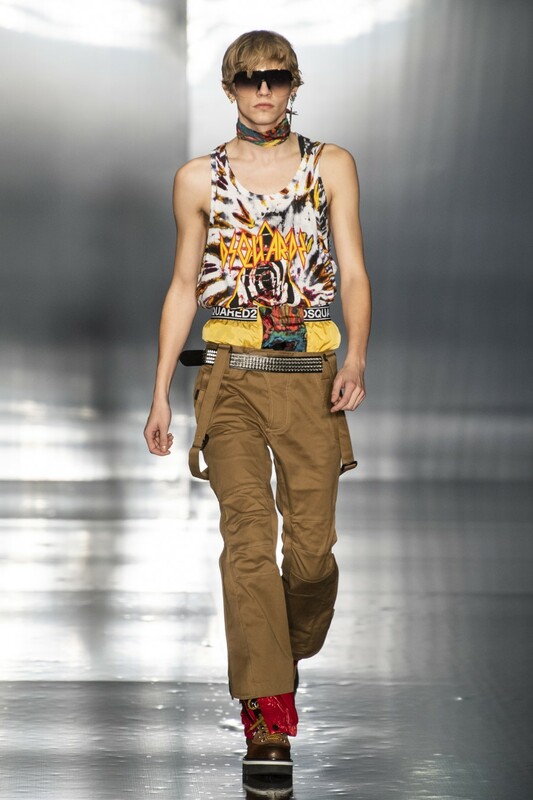 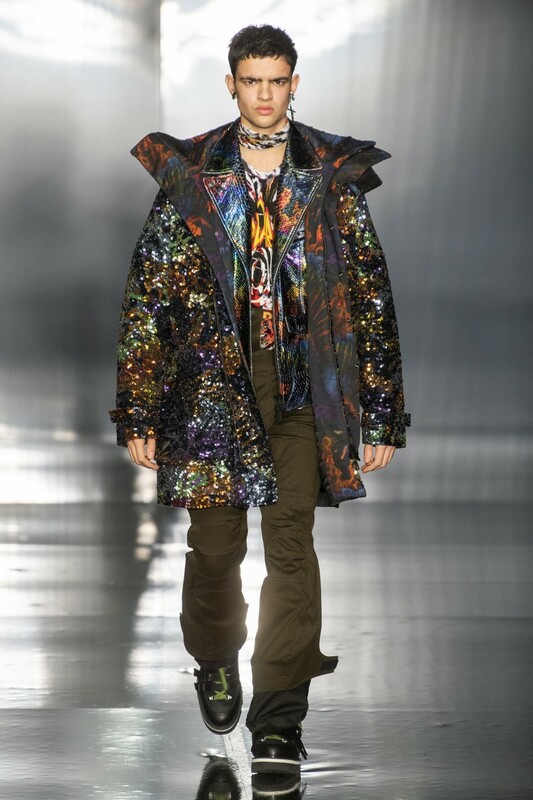 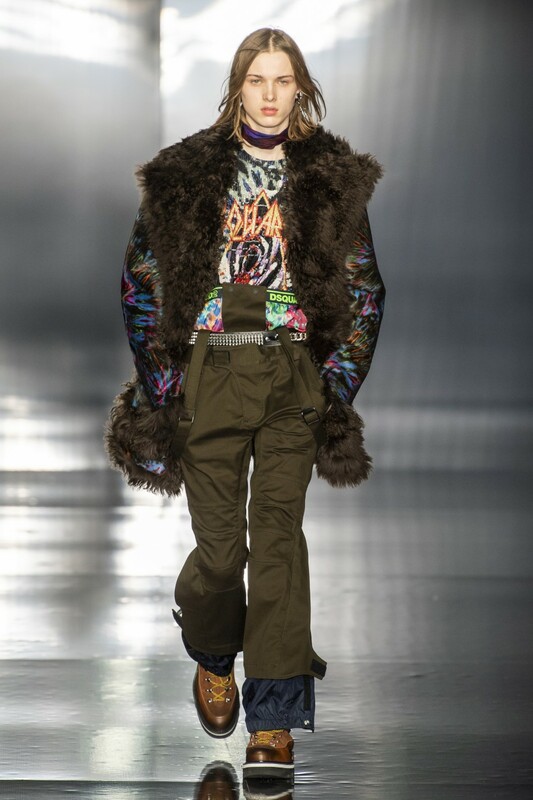 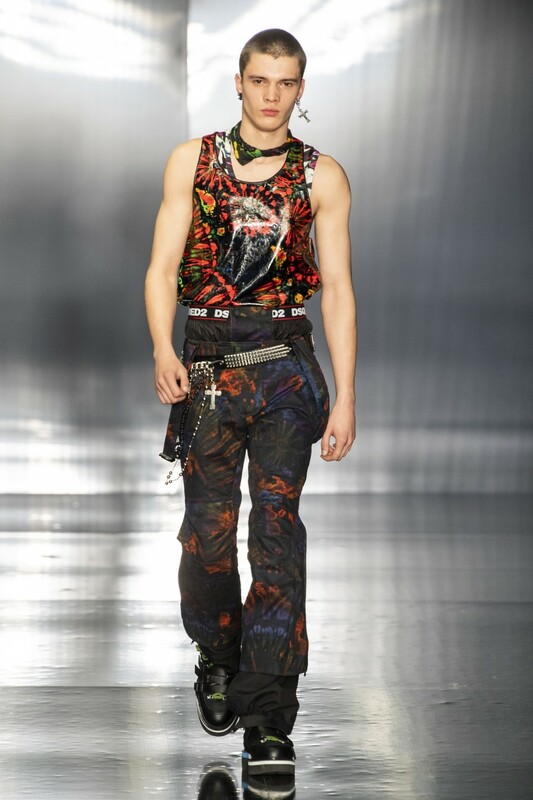 For Fall/Winter 2019 collection, Dsquared2’s Dean and Dan Caten nailed an unlikely trio of inspirations (showing both womenswear and menswear together): winter sports, nouveau-grunge, and psychedelic indulgence. 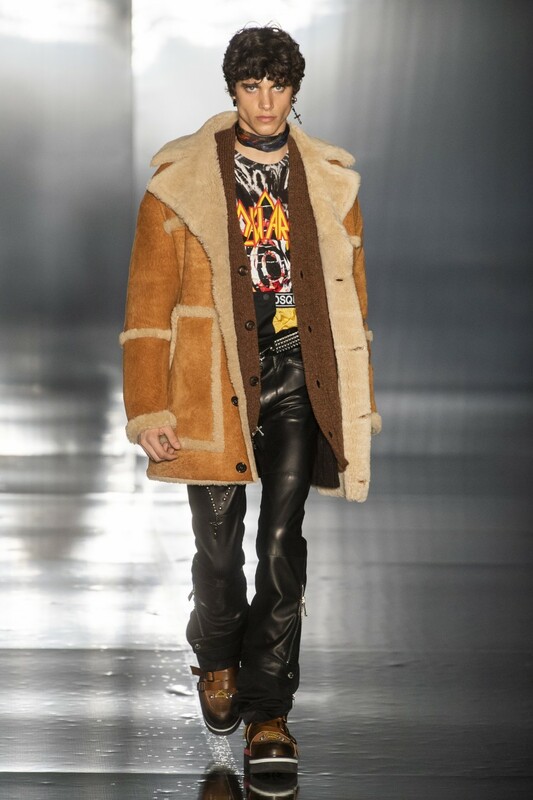 ‘’Our keywords are steep, Nirvana, and opulence’’, said Dean. 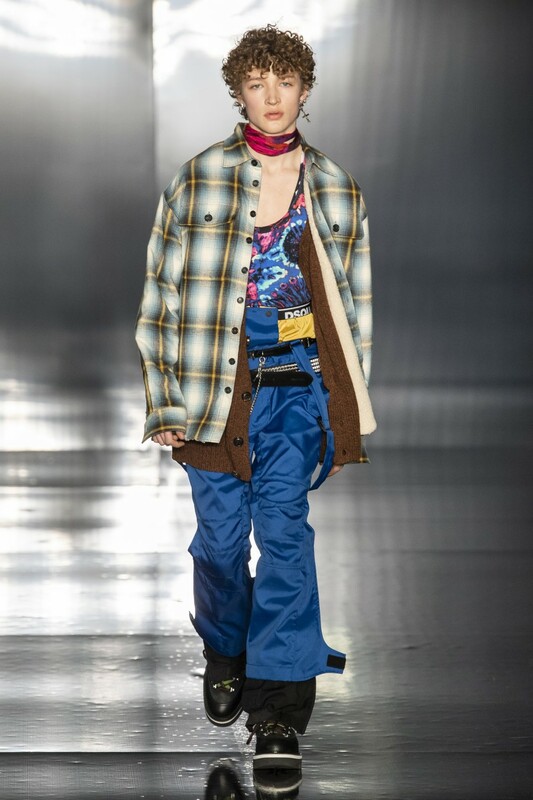 ‘’Steep giving you 2,000 meters above sea level, you know, snowboarders…’’ Dan continued: ‘’and Nirvana isn’t really like the grunge of back then, but there’s some element of it, some plaids; we’re Canadian after all. 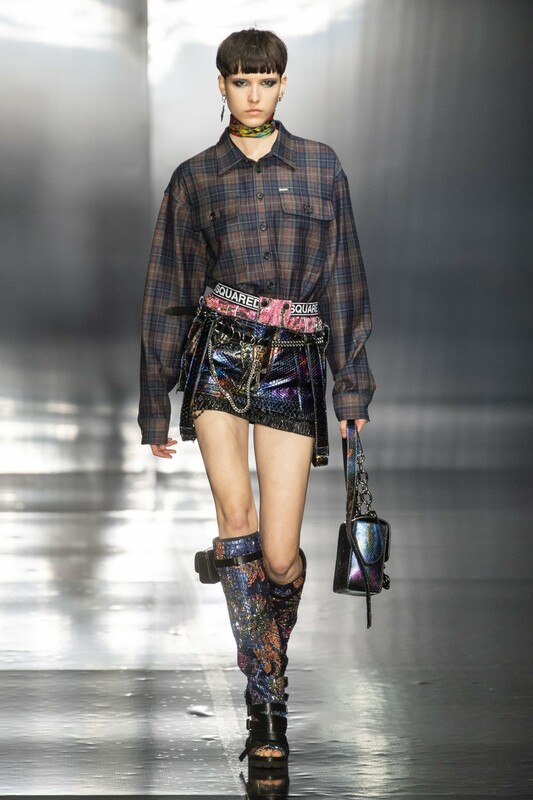 And the opulence… well… she’s kind of trashy and rock-y, together’’. 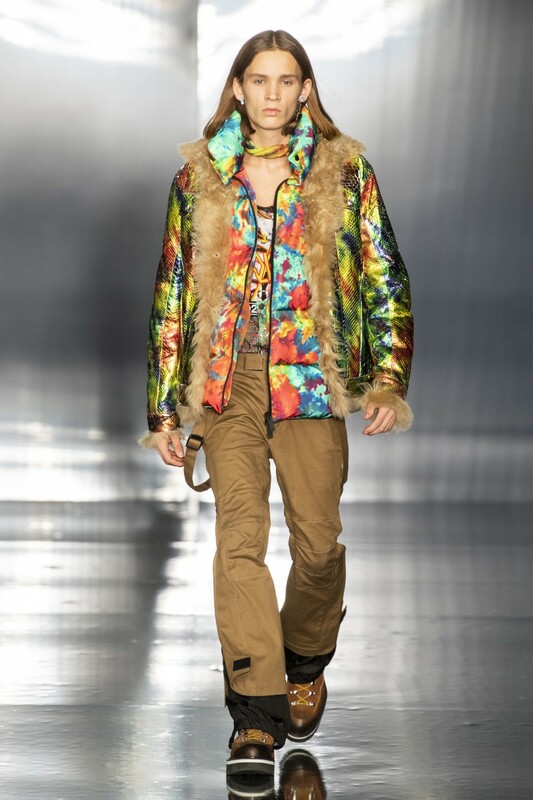 They settled on a phrase: ‘’It’s alpine glam Seattle!’’ Dan concluded.